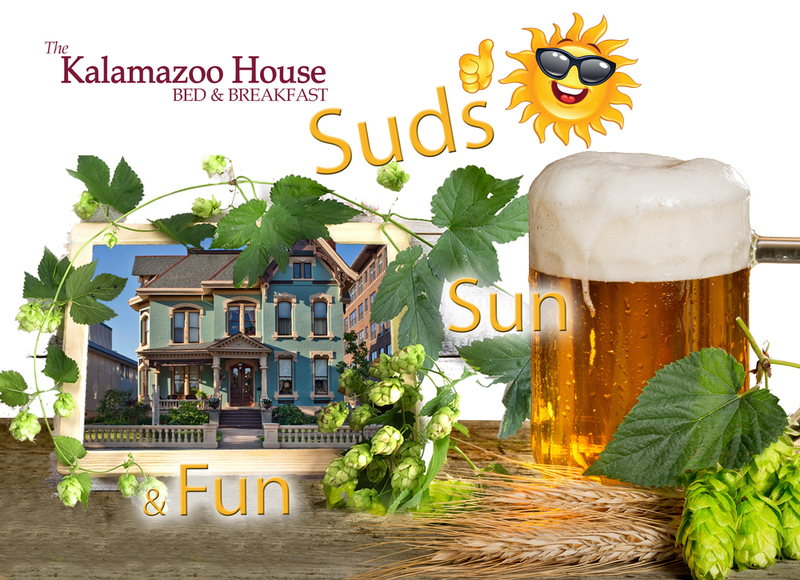 Weekend event package for Summer Walking Brewery Tour in Kalamazoo, for this Fourth of July weekend. Feel the Heat. Drink the Beer. Our previous weekend events & brewery tours were so much fun we've locked down the house for Fourth of July weekend, 2016 (July 2nd and 3rd) to do it in GREAT weather! It all began this last winter when we thought it'd be fun to block the whole house to teetotalers, throw in some spice like live music upon arrival, beat cabin fever, and create an exclusive walking tour only available to Kalamazoo House Guests--in partnership with West Michigan Beer Tours. Fourth of July Weekend Event to Remember! Rooms/Rates inclusive of event offerings (double occupancy): there is no additional up-charge or package to purchase. Pick your hearty hot entre and the time you want your calories, between 8:00 a.m. and 10:00 a.m., and get your day off to a coffee-fueled start. Gather with Steve and Steph at a leisurely pace at Burdick's Restaurant down the street, grab more food or a brew, and complete a non-grueling registration process with our friends at West Michigan Beer Tours. 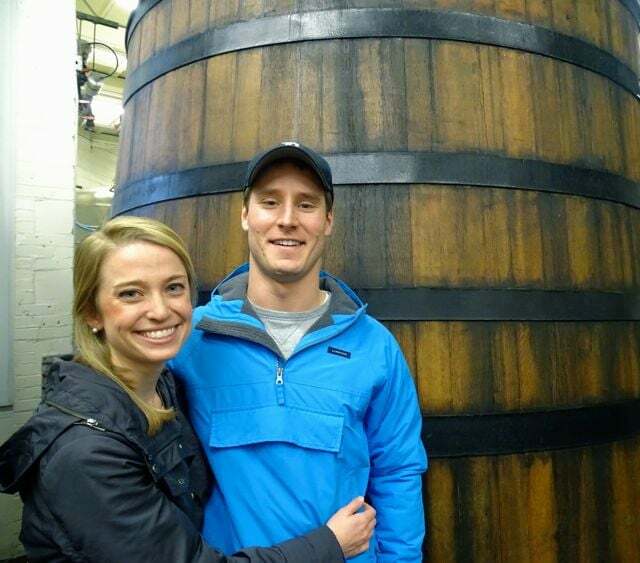 Put on your sunscreen and shorts (closed toe shoes required in some brew rooms), and join Steve and Steph for a private walking tour of three great downtown breweries: likely Olde Penninsula, Arcadia Brewing, and Bell’s. Sample beers, laugh, and learn from these talented brewmasters. (Mix of three breweries is subject to change). Stop 1: Olde Penninsula, samples and history: 1:15-2:15 p.m.
Stop 2: Arcadia Ales, samples and brewery tour: 2:30-3:30 p.m.
Chill on your own with a movie in your room, go see a movie at Almo Drafthouse, or “play it by ear” in the city. and maybe add a day or two! Choose from multiple hot breakfast options to fuel you for your trip home (or stay an extra day to let the relaxation sink into to your bones). What's included IN THE RATES FOR THE WEEKEND? To Participate, simply reserve your room for at least the two nights of July 2nd and 3rd. (Note: Must be 21 years of age, and IDs will be checked at the registration. Closed shoes may be required for some activities).